There were lots of different things to taste at the Manchester Cake and Bake Show last week. We tried some particularly tasty bread and some very yummy shortbread. The shortbread was on the California Prune stand and was proving to be popular with everyone who tried it – many who hadn’t eaten prunes for years. 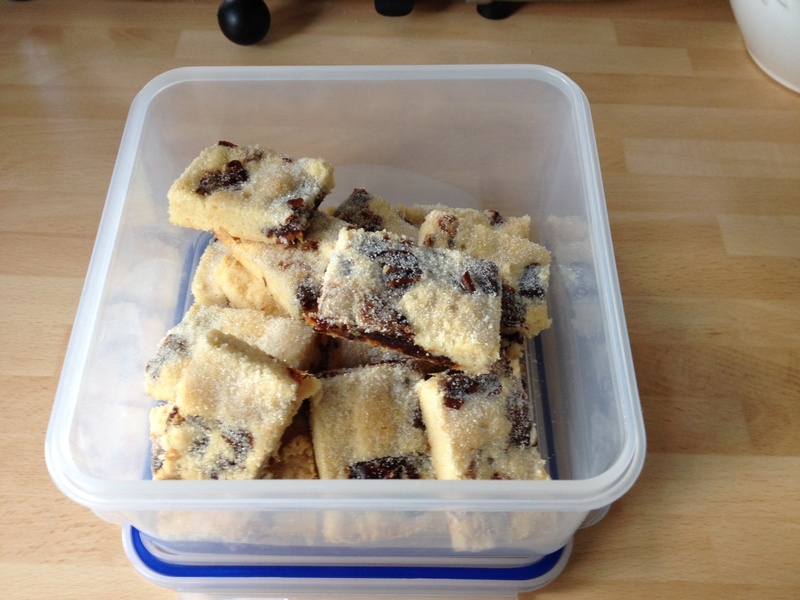 I picked up a recipe leaflet but was disappointed the shortbread recipe wasn’t there – however, with the magic of Twitter, California Prune were kind enough to tweet the recipe and I made some the next day. It disappeared very quickly as family popped in and out to visit! So tonight I decided to make another quick batch while making supper as there was no cake left in the house. It’s so quick to do and cools very quickly too. If you’ve no prunes in the house try it with dates in the meantime but do give the prunes a try when you can. 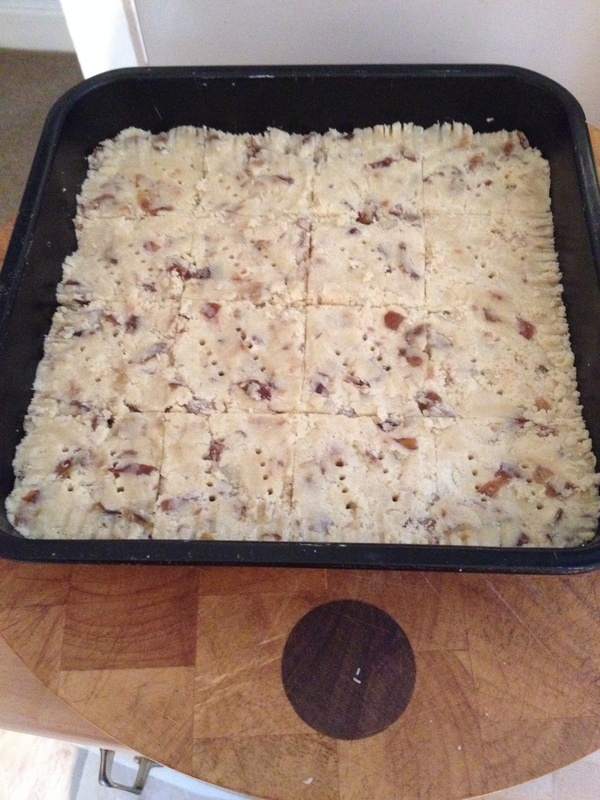 I’ve increased the recipe by 10 per cent to fit a 23cm square tin. 1. Pre heat the oven to Fan 150 degrees. 2. 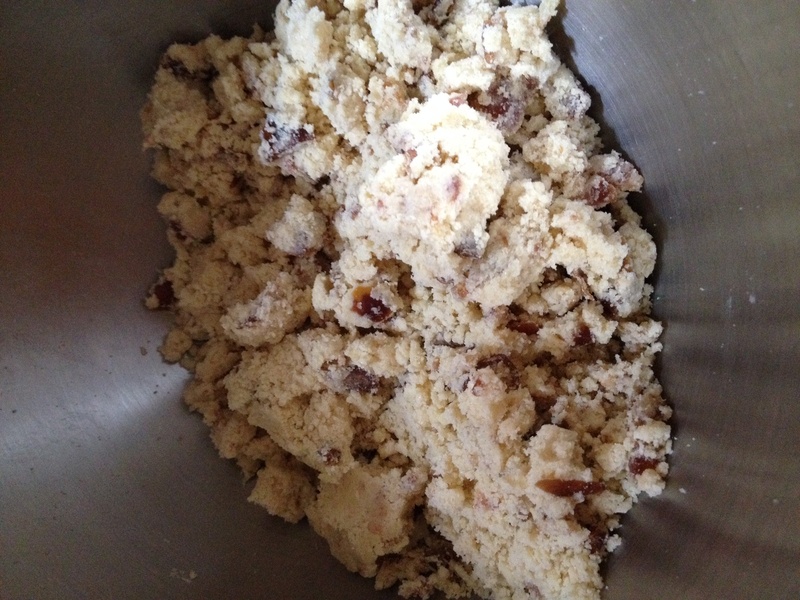 Sift the flour (I just give it a quick whisk in the mixer) then add the caster sugar and a pinch of salt. 3. Rub in the diced butter to resemble breadcrumbs. 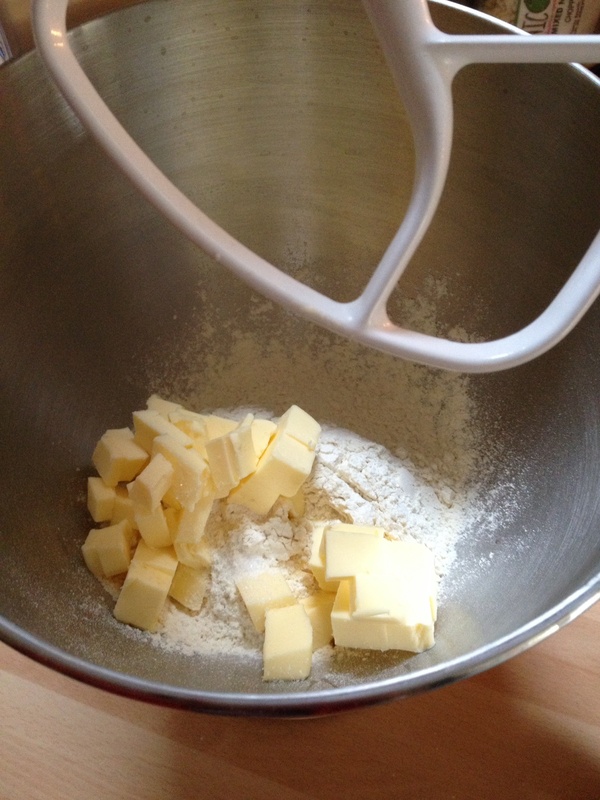 I’ve tried it in my new mixer and it very quickly did that for me but by hand is fine. 4. Mix in the chopped fruit. 5. Press the mixture into the tin (I use the bottom of a glass tumbler to firm it down) then cut into 16 pieces and prick each piece twice with the prongs of a fork. 6. Bake for 40 minutes until just golden brown at the edges. Sprinkle straight away with a little caster sugar and leave in the tin for a few minutes then use a palette knife to lift out onto a cooling tray. Keeps well in an airtight container if it gets the chance!